These guys were in a tree outside my house. Shot the photo at ISO 400 and gave the photo a big crop and there's some noise as a result. Not sure how to best clean that up without losing sharpness in the birds. 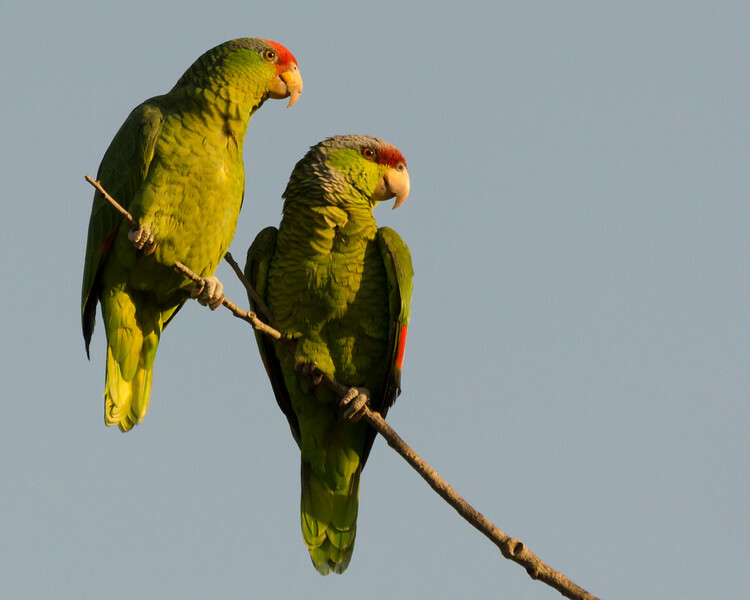 There are huge flocks of wild parrots all over Pasadena and South Pasadena -- they're not tiny birds.